Pull out your spreadsheet you created in Budget Basics #2 and sit down with whatever you software or program you are planning to use to keep your budget. Here are 6 simple steps to creating your budget. Enter your monthly take-home pay. If you’re on a salary or fixed income this is relatively easy. If you’re self-employed or have an unpredictable work schedule, it may be a little more challenging. The best advice I have for this step is to be realistic. If you only work overtime occasionally, don’t include it. I think it’s better to have a little extra left over at the end of the month, rather than be overly optimistic and having to find places to trim your expenses when you realize the money is not there. Enter the amounts for your fixed monthly expenses that can’t be altered or changed without significant personal or financial consequences. Items to be entered in this step include your rent, mortgage payment, car payments, and all other debt payments. 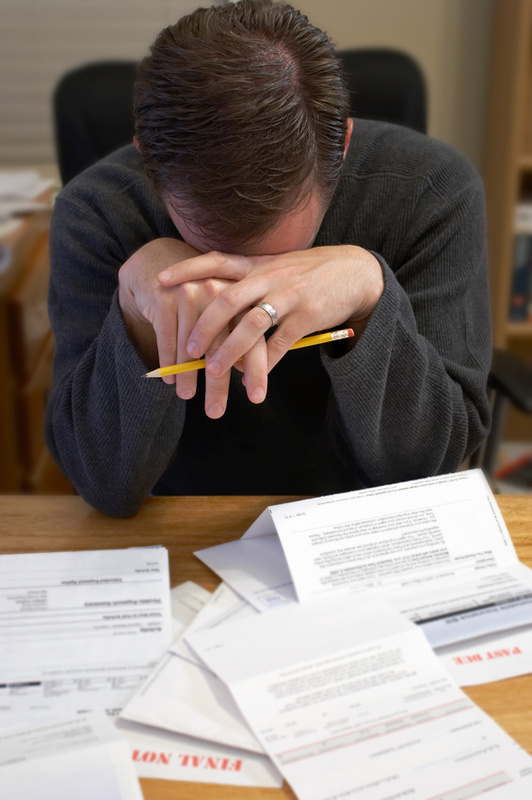 If you have any outstanding credit card debts, use just the minimum monthly payments for now. If you have very strong convictions about tithing or giving, then put that in this category. Otherwise, classify your contributions in a subsequent step. Keep in mind that the more items you consider to be fixed expenses, the less opportunity you will see for managing your finances and altering your spending. Enter your living expenses. Include expense such as food, utilities, car insurance, gas, commuting expenses, medicine, and child care. Refer back to your monthly average spreadsheet for this task. You may not have an exact amount for these categories, but you should be able to create a reasonable estimate from your 3-month average. Try to limit this to the expenses that are necessary for your family to survive. You or your kids may think you can’t survive without cable or cell-phone services, but you can. Suggestion: If you’re having difficulty managing your finances, check with your local utilities to see if you qualify for a monthly payment plan. Many utilities will review your consumption history and calculate an amount you pay each month. You will ultimately pay for what you actually use, but it might help you to handle large spikes in your utilities during the cold of winter or heat of summer. Now consider discretionary living expenses which are important but have flexibility in how much you spend or when. Clothing, haircuts, gym memberships, life insurance, cable, cell phones are good examples. If you have a lot of extra money, you may be able to maintain your current plans and spending habits, but if you’re starting to realize you have more expenses than money, these become some of the expenses you can target for reduction. Add in your discretionary expenses. Adding money to a savings account should be one of these items. I’ll cover the importance of having an emergency fund later. Retirement savings, vacations, Christmas presents, saving for a down payment on house, paying off debts would and college savings all fit within the category of discretionary expenses. Review your draft with your priorities and values in mind. Remember, the primary purpose of a budget is to have a strategic tool to help you allocate your resources in a manner that accomplishes your objectives. If your spending does not line up with the things that are most important to you, then you should determine what changes you can make for your spending to align with your goals. Suggestions: Along with looking how you can trim your expenses, think about how you might increase your income. It may not be feasible, but at least consider the possibility. It may also be a necessity if you’re going to meet your long-term goals. Our minds often focus on what we lack rather than what we can create. If you have a deficit budget, take a careful look the numbers. Did you double-count something? Were you too conservative with some expenses? If you truly do have a deficit, you’ve got some tough choices to make, especially if you have little in the discretionary expense category. Review the expenses in Steps 3 and 4 and see what you can modify or eliminate. If you have a budget surplus, review your budget to make sure you didn’t miss something. If it’s still in positive territory, you’re in great shape. Before you start bumping up those discretionary expenses, I would suggest you stick with the budget you created for a couple of months to see if you truly do have a surplus. If you actually have money leftover at the end of the month, save it. You can always decide to spend it later. Now that you’ve created a budget, we’ll address the next step in the process… tracking your expenditures.